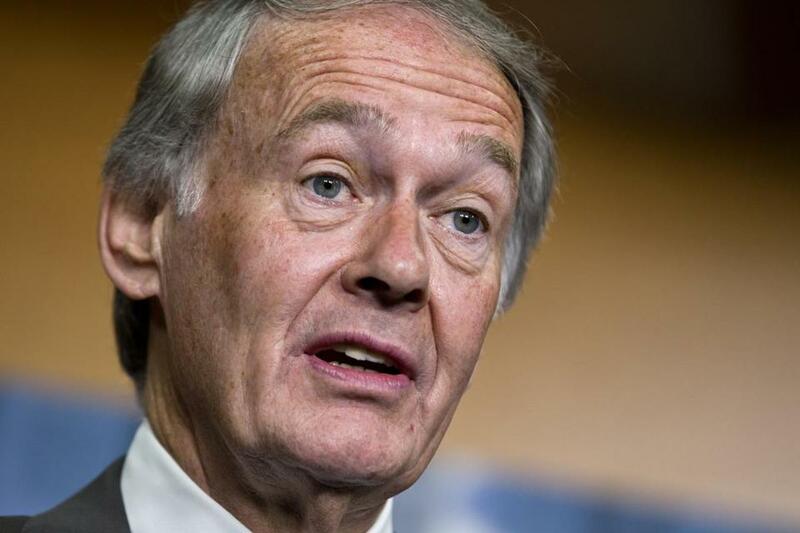 US Senator Edward Markey, a Massachusetts Democrat, said he is particularly troubled that the FDA approved OxyContin for use by children without convening an advisory panel of experts to study the issue. US Senator Edward Markey is using Senate rules to block the nomination of a proposed new leader of the US Food and Drug Administration in an attempt to force the agency to rescind its approval of a prescription opioid for children and change its regulatory practices, Markey said in a Globe interview. Using parliamentary procedures, the Massachusetts Democrat has put a “hold” on the nomination of Dr. Robert Califf, which prevents the Senate taking a confirmation vote, at least for the time being. Markey, who has made the growing wave of opioid addiction one of his legislative priorities, is demanding that the FDA agree to reverse its 2015 decision allowing the pediatric use of the prescription painkiller OxyContin. He also wants the agency to commit to convening expert advisory panels to provide advice whenever considering the approval of an opioid drug, and to ensure that the risks of drug addiction and abuse are taken into account whenever the agency considers approving a prescription opioid. Markey said he is particularly troubled that the FDA last year approved OxyContin for use by children without convening an advisory panel of experts to study the issue and offer advice, as the agency often does before making significant public health decisions. Markey was among eight senators who signed a letter to the FDA protesting the decision last September, according to a copy provided by Markey’s office. People 25 to 44 years old are hardest hit by the opioid overdose epidemic that has left thousands dead in Massachusetts. Other New England senators who signed were Angus King, an independent from Maine, and the senators from New Hampshire, Republican Kelly Ayotte and Democrat Jeanne Shaheen. “It’s very clear to me the FDA has decided that . . . it will create big problems for them if they have any new advisory panels that vote against the approval of any of these new drugs or new uses,” Markey said. Burwell’s department, in a statement to the Globe, said that Califf is the right person to lead the FDA and the department wants him confirmed as quickly as possible. “The Department has made addressing the opioid crisis a top priority, and work at FDA and across [Health and Human Services] will continue on this important effort,” a department spokeswoman said. Health and Human Services “will be in touch directly with the senator regarding his concern,” the statement said. Dr. Robert Califf, President Obama's choice to lead the Food and Drug Administration (FDA), waited before a nomination hearing last fall. Markey said Friday he had not yet received a response. He called opioid abuse a statewide and national crisis and said he intends to block the nomination “for as long as it takes” to get action from the FDA. Nominations that require Senate confirmation can be pressure points in Washington politics, giving individual senators the leverage to advance their political causes. A single senator can block a confirmation vote by placing a hold on it, though a hold can eventually be defeated if at least 60 senators vote to end the obstruction. Markey is not the only senator seeking leverage with the Califf nomination: Senator Lisa Murkowski, an Alaska Republican, is also blocking a confirmation vote, her office said, for an entirely unrelated reason. Murkowski wants assurances from the FDA that it will require mandatory labeling for genetically engineered salmon. Another senator, Vermont independent Bernie Sanders, a candidate for the Democratic Party’s nomination for president, has suggested that he, too, may block a vote on Califf, because of the doctor’s ties to the pharmaceutical industry. A Sanders spokesman could not be reached for comment. Dr. Sidney Wolfe, an expert on drug safety issues who served on the FDA’s Drug Safety and Risk Management Advisory Committee from 2008 to 2012, said FDA decision makers are highly influenced by testimony about pain and the need for pain relief. 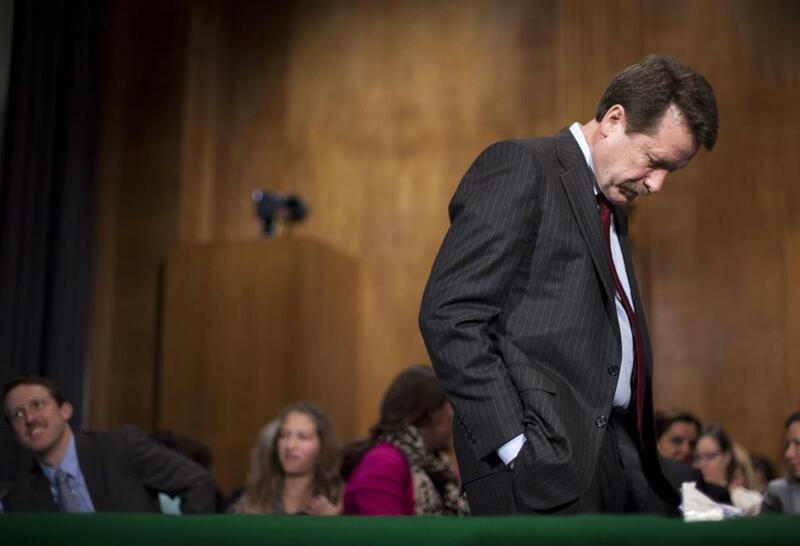 Public Citizen has urged the Senate to reject Califf’s nomination, citing Califf’s history of financial ties with drug and medical device makers.